"Anna, I am sorry for the loss of your dear mother. ..."
"amazing kindhearted woman! lucky to have her on earth!" "One life well-lived has created a wide circle of family and..."
"Mary and Lisa, I'm so sorry to learn of your mother's..."
"Heaven is getting a wonderful loving lady. I loved all she..."
HALLOWELL - Matrona Wdowin passed away peacefully surrounded by her loving family, on Aug. 7, 2018 at MaineGeneral Medical Center. She left this life as she lived her life - with God in her heart, surrounded by her loving family and wanting to feed everyone. To the very end, she was very sharp-minded and still in charge of her care. She was born in the countryside near a small village close to the border of Poland, in the vicinity of Brest, Belarus. 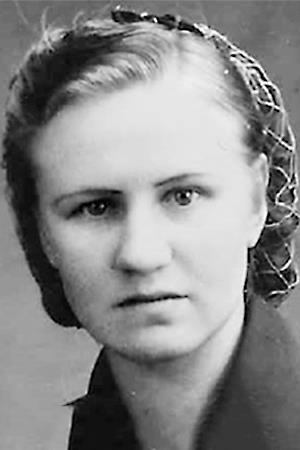 She was one of six children born to Konrad and Marfa Lepuschenko. In 1941, when she was in her early teens, her family was forced to flee their home due to the start of World War II. During the WWII, the family lived in a forced labor camp, along with hundreds of other war refugees, at Matrei am Bremmer, in camp Dachau in the Austrian Alps, doing physical labor, six days a week, repairing railroad lines that were repeatedly bombed by the advancing Allied military forces. In the work camps, food was in short supply, consisting of a weak soup and some bread. When the Allied Forces liberated the camps in 1945, the family was among those moved to a displaced persons (DP) camp at Kufstein, Austria. At the DP camp, conditions were better, and they could work and move about freely, as well as enjoy some recreation time. She met her future husband, Nikolai Wdowin, at dances held at the camp. They married and began a family in Austria. Matrona and Nikolai lived and worked at the DP camp for several years awaiting a chance to emigrate to America. The family was able to come to the United States in 1950, through sponsorship of an American family who owned a farm in New York state, where they worked for several years to repay the debt before moving to Rhode Island. Eventually they settled in Richmond, Maine, where Matrona's father and mother lived. The family operated an egg production farm for many years. She was a devoted wife, mother, grandmother and great-grandmother who enjoyed family gatherings, especially during the traditional holidays. She was a wonderful cook who never used a recipe and enjoyed sharing her traditional Russian foods and making sure everyone was well fed. She was a warm and friendly person who always welcomed people into her extended family, treating friends of her children (Tom and Lucie), and grandchildren, as her own family. She also enjoyed going for walks, sewing, gardening, berry picking, foraging for wild mushrooms, playing Durak (a Russian card game) and going to the ocean. She loved animals, especially her rescue cat, Bailey, who sometimes she loved more than her daughters. As a member of the St. Alexander Nevsky Church in Richmond she enjoyed singing in the choir, until health conditions prevented singing. She was known "Baba", short for babushka (grandmother in Russian) to all her family. She was predeceased by her loving husband Nikolai; her parents; a brother who died in early childhood; her two brothers, Basilio Lepuschenko of Richmond, John Lepuschenko of Richmond; her two sisters, Nina Peacock of Rhode Island, and Anna Spaulding of Washington state. She is survived by her five daughters: Anna Wdowin of Atlanta, Ga., Tamara LaMarre of Dunwoody, Ga., Natalia Thompson of Vassalboro, Mary Wdowin of Hallowell, and Lisa Rodrigue of Hallowell; her four grandchildren, Jonas Meyer of Canonsburg Pa., Christopher Wdowin of Atlanta, Ga., Tasha Wdowin of Atlanta, and Megan Thompson of New Hampshire; a great-grandson, D'mitry Wdowin of Atlanta; and sons-in-law, Jeffrey Rodrigue of Hallowell, William Thompson of Vassalboro; sister-in law, Diane Hall; adopted "son", Billy Peacock; and many nephews and nieces including surviving relatives in Russia. She leaves behind many friends. including her "honorary granddaughter", Sarah Toto. A Panikhida service was held at the St. Alexander Nevsky Church in Richmond on Aug. 7, 2018 at 3 p.m., where a funeral service will be held on Friday, Aug. 10, at 11 a.m. Burial will follow at the Cotton Cemetery on County Road in Richmond. The family wishes to thank the staff at MGMC, especially Dr. Edwards; nurses, Allie and Jim, for their help and support during "Baba's" illness.